In a first for a South Korean animated film, “Underdog” has been invited to compete in the Tokyo Anime Award Festival. “Underdog” is an animated film about homeless and abandoned dogs. 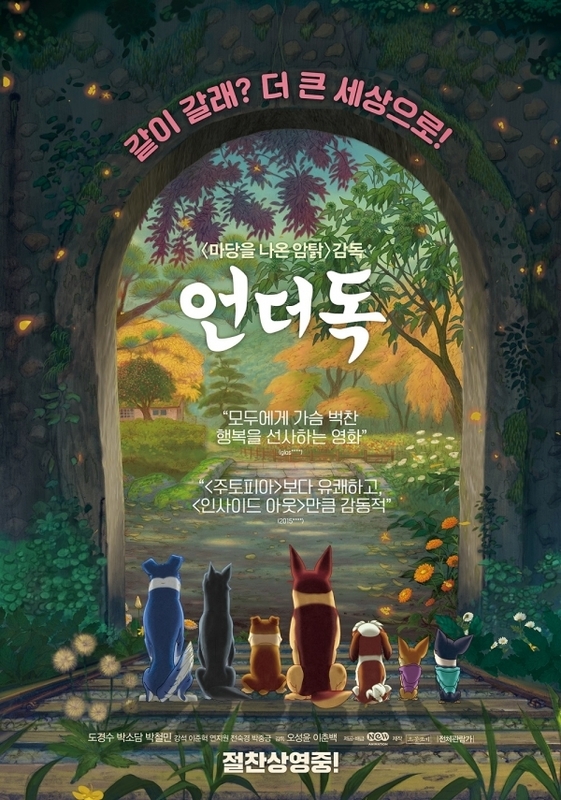 In the film, a dog named Moongchi (voiced by Do Kyung-soo of the K-pop boy band EXO) is abandoned but goes on an adventure to find true freedom with other stray dogs. The film opened the 22nd Bucheon International Fantastic Film Festival in July, and went on to win the best animation award at the Silk Road International Film Festival in China in October. Directors Lee Chun-baek and Oh Sung-yoon produced an animated film titled “Leafie, a Hen into the Wild” in 2011, which sold more than 2.2 million tickets -- another record for the Korean animated film industry. “Underdog” hit local theaters on Wednesday.